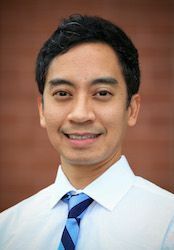 Jeff Wongskhaluang, MD, MS (“Dr. Wongs”) joined Grin Eye Care in 2015 from the faculty of the University of Missouri-Columbia, where he previously completed a fellowship in cornea and external diseases. Dr. Jeff Wongs received his undergraduate education at the University of Southern California, and earned a master of science in physiology and a doctorate in medicine at the Chicago Medical School. He completed his internal medicine internship at Lutheran General Hospital in Park Ridge, Ill., and his ophthalmology residency at Chicago’s Cook County Hospital. At Grin Eye Care, Dr. Wongs performs standard/complex cataract surgery, secondary IOL placement, PKP, DALK, DMEK, DSAEK, and keratoprosthesis surgery. Refractive procedures include LASIK, PRK, and laser-assisted cataract surgery. Dr. Wongs is certified in micro-invasive treatment for glaucoma using the iStent. Dr. Wongs continues to be a clinical instructor at the University of Missouri-Columbia and the Harry S. Truman Veterans Affairs Hospital in Columbia, where he remains an important part of resident education and research. Dr. Wongs and his wife—a St. Joseph native—are excited to make their new home in the Kansas City area. Their interests include traveling and the culinary arts. So don’t be surprised if you see them at your local farmer's market.